Want to get more space on your iPhone? 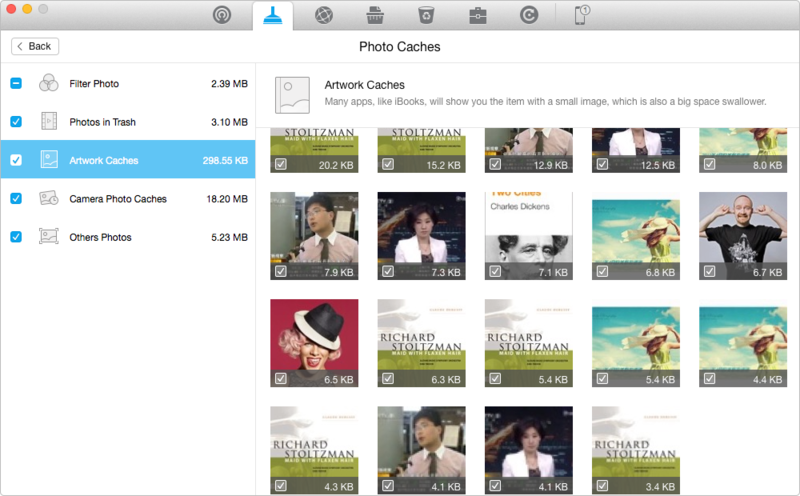 Do you know that there are lots of photo caches that take up your iPhone storage? Read this guide to know how to remove iPhone photo caches with ease. Have a try on the newly updated PhoneClean by downloading it on your computer after reading this guide on how to clear photos caches on iPhone. An iPhone almost meets all our needs about a smartphone, and whatever you are using your iPhone for, it is very common that soon your iPhone will experience the insufficient free space. Many iPhone users have no idea that there are kinds of photo caches that eat up the limited iPhone storage like filter photo caches (duplicate photos created by filter effect), other photos (the screen snapshots or saved pictures from website or third party apps), artwork caches (thumbnails created by apps like iBooks), or photos in trash that still occupy space. That’s why clearing unneeded photos caches on your iPhone is a good option to make more room. Also, cleaning these caches will make your iPhone run faster. 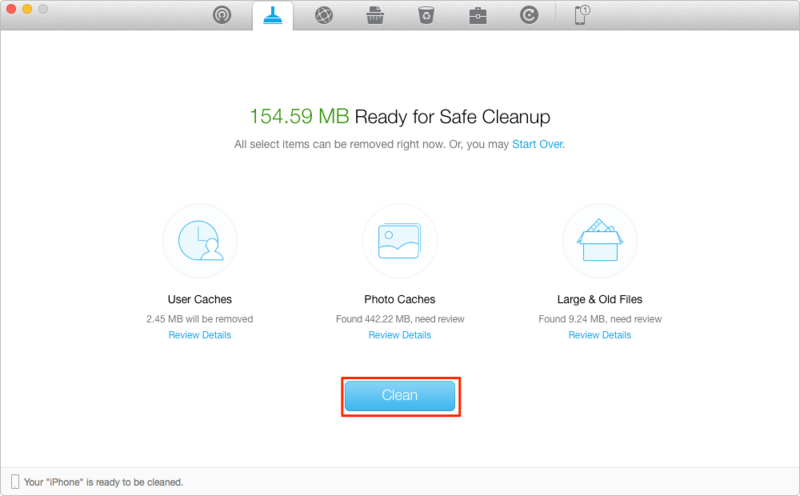 However, it is not easy to manually find out and get rid of kinds of caches generated by photos on your iPhone, so an iOS-cleaning tool like PhoneClean is helpful. Step 1. Run PhoneClean and connect your iPhone to computer. 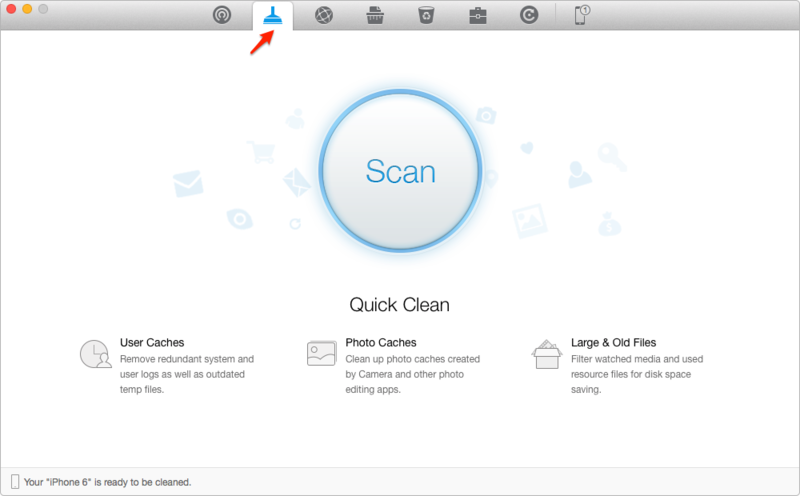 Select Quick Clean, and tap on Scan. Step 2. When the scan is done, double click Photo Caches option to view and select the cache files you want to remove. And then click the back button to go back to the result page. The new PhoneClean adds more features in, and will largely optimize your iPhone. Why not download it to have a try? If you have any questions on PhoneClean please let us know by sending an email.